Description: It's a technicolor battle for the board! 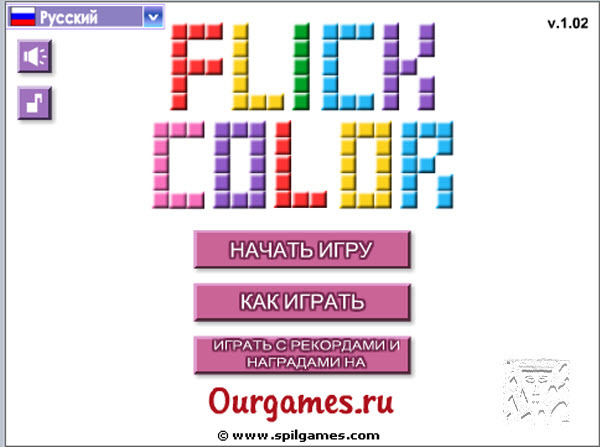 How to play: Turn the entire board the same color by clicking the 6 squares at the top-left. Each click costs 1 turn. Carry extra turns to the next level...but run out and it's game over!